If you were asked to picture the most fascinating thing named Mercury, what would come to mind? Perhaps it’s Freddie Mercury, or a scene of alchemists trying (and failing) to conjure gold from liquid mercury. Only a few might think of the bright spot that recently appeared in the western sky. The planet Mercury will be visible for the next few evenings, but it may not inspire much awe. And why should it? By all appearances, the moon is a close visual analog. Both are gray, lack an atmosphere, are heavily cratered, and even similar in size. Yet our satellite is much closer and visible most evenings of the year. Why pay attention to the brief appearance of this pipsqueak planet? First and foremost, Mercury is full of surprises. When spacecraft MARINER 10 snapped a few photos of the planet in the 1974 and 1975, an astronomer called it a "burnt out cinder". Mercury was relegated to the bottom of the list for future expeditions. Yet in 2012, MESSENGER uncovered something completely unexpected- water. Mercury's proximity to the sun and lack of atmosphere contribute to massive temperature swings. Temperatures range from 800ᵒ Fahrenheit on the lit side to -297ᵒ Fahrenheit on the dark side. Despite this, water ice hides in polar craters that are so deep they never receive sunlight. Inhospitable conditions aside, Mercury's orbit and rotation can make us grateful we live on Earth. One year on Mercury would zip by in 88 Earth days, yet one day would drag on for 59 Earth days. 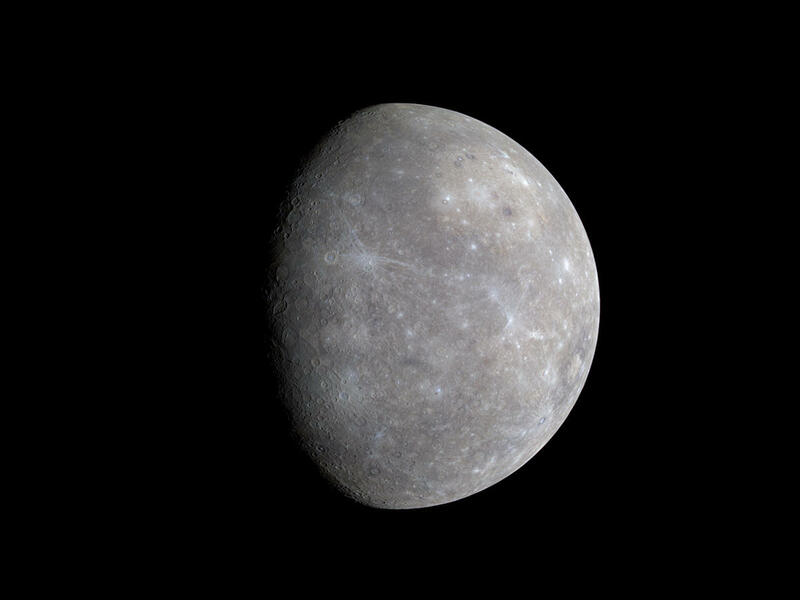 Combined with the eccentric shape of its orbit, Mercury’s slow rotation causes the sun to appear to rise in the morning, retreat towards the horizon, then rise again. The same effect happens in reverse at sunset. All of this transpires within a single day. So if the idea of Groundhog Day terrifies you, don't move to Mercury. Mercury's proximity to the sun also makes it a rare gem in our night sky. We can easily view Saturn, Jupiter, Mars, and Venus, but we have to plan ahead to see Mercury. Take the opportunity to view this strange, surprising cousin of ours. Mercury will be visible in the western sky for an hour and a half after sunset through March 5th.